I have scoliosis with fusion, and it has been about 10 years since my corrective surgery. I have been doing Pilates ever since, and luckily have not experienced any pain thus far, however I have gotten so many different opinions on whether I should be doing flexion work. I came across your website- it is surprisingly difficult to get a straight answer for this question. Hello Erica and thank you for your question about Pilates for Scoliosis and Fusion. Pilates is really wonderful for people with scoliosis and fusions. Are you doing mat classes or equipment work? In any case the general rule of thumb is to stretch the tight or concave side of the scoliosis, and to do flexion without extension for the fusion of the back. However, with your scoliosis and fusion flexion would be counter-intuitive. Loaded flexion on the equipment anyway. I would continue doing what you are doing if it is not giving you pain. Just be gentle with any loaded movements such as pushing off the reformer for a side stretch or mermaid. Go to the point of the stretch on your tight side, this may just be to a neutral back position and then stop there. 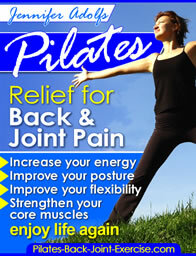 Check out this page about Pilates for people with scoliosis. Some of the ways to use Pilates equipment for scoliosis here.